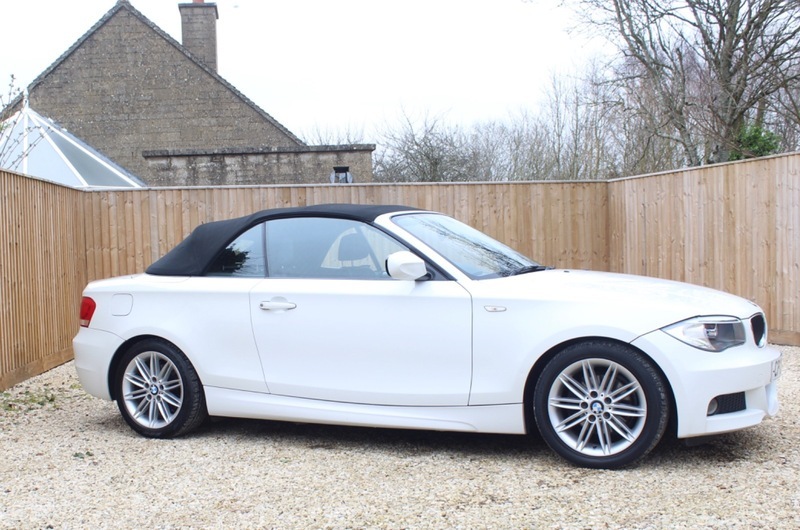 Crudwell Garage is delighted to offer this smart looking BMW 120d M Sport Convertible boasting a high specification, part leather seats and a full service history. This is a stylish and fantastic looking vehicle with 174bhp providing plenty of power for those spring and summer time drives with the roof down. The vehicle is in great condition for the age and mileage and the roof works as it should with no leaks or tears. At Crudwell Garage Ltd we put all of our vehicles through a rigorous appraisal process, checking the condition of the vehicle, highlighting any defects, and checking for any outstanding safety recalls. Price includes a 6 months/6000 miles mechanical breakdown warranty with road side assistance and recovery. We check all of our prices daily using Autotrader market data so you can be confident in our fair and realistic prices. As part of the Bosch Car Service Centre tyre program we can offer a large range of car, van and 4×4 tyres at competitive prices. All tyres are fitted and balanced using the latest Bosch tyre fitting and wheel balancing equipment.